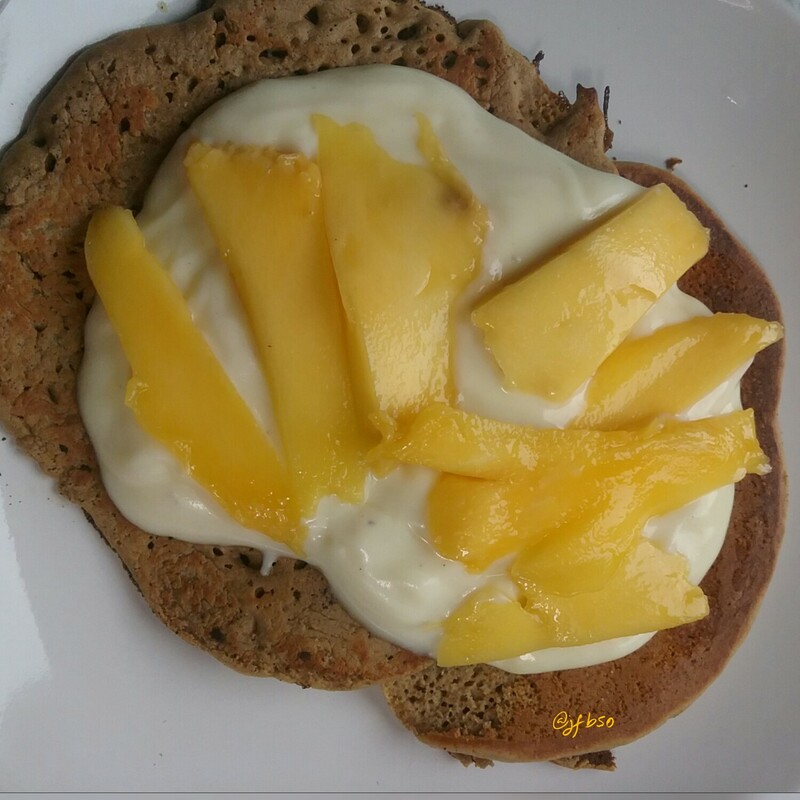 Chestnut and coconut flour pancakes | Jo's food bites. Recipe testing and experimenting with flavours and balance resulted in these pancakes. Eaten hastily by my husband and number 1 food critic – which I take as a sign he enjoyed them! Whisk the eggs and then add all the other ingredients and mix thoroughly. Spoon out mixture on to a hot griddle and cook till golden brown on both sides. To complement the sweet nutty flavour of the chestnut flour I served them with Greek yoghurt and then a fruit topping.